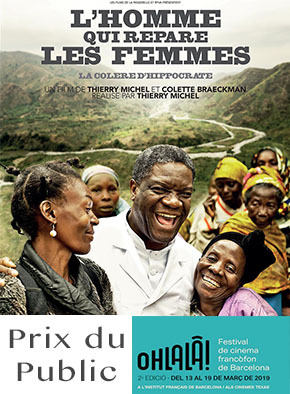 Audience Award for THE MAN WHO MENDS WOMEN at Ohlalà Festival! On March 19 in Barcelona, the film «THE MAN WHO MENDS WOMEN» won the Audience Award of the 2nd edition of the Ohlalà Festival! devoted to francophone cinema.